BOBBY McGUINNESS GUARANTEES YOU A MARLIN! Captain Bobby McGuinness, selected one of the world’s 50 top charter captains by Saltwater Sportsman magazine, and holder of over 200 IGFA-certified world records for offshore and inshore saltwater sport fishing, invites you to take his Marlin challenge. Fish a two- or three-day overnighter with him between July 1 and November 15; If your group does not get a solid Marlin hook-up, Bobby will give free days the following summer! Call 1-800-407-9438 or e-mail us now for more information. Captain Bobby McGuinness was chosen the World’s Best Captain/Guide of 2010 by the prestigious International Game Fish Association (IGFA) for setting more IGFA-certified world records that year than any other captain anywhere – period! This is the second time he won this prestigious award, winning it first in 2006. Bobby is Ranked Within The Top 50 Charter Captains by Industry Leaders. Being named one of the world’s 50 top charter captains by Saltwater Sportsman magazine is just one in a long list of sportfishing accolades. Bobby was recognized by the Billfish Foundation as the world’s top tagging captain for Pacific Blue Marlin in 2016. The IGFA recognition in 2010, along with an IGFA 2010 Lifetime Achievement Award (see both below), come on the heels of a 3rd place certificate for 2009, and a 2nd place IGFA Saltwater Captain diploma for 2004, when anglers fishing on his 28-foot Sweet Dream in waters off Costa Rica’s South Pacific coast landed nearly 30 IGFA-certified world record fish. 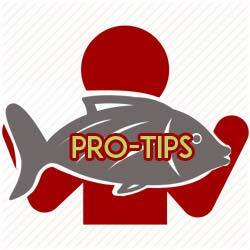 And in 2008, Bobby tied for 5th place with 13 IGFA world fishing records. Captain Bobby McGuinness holds about 300 IGFA world records, set during more than 35 years of active sportfishing – he began in 1979 when he was 16 years old – in Costa Rica (out of Golfito on the South Pacific coast where he is now, Quepos on the Central Pacific coast, and Flamingo in the North Pacific coast), Panama and the United States (North Carolina). His reputation as an outstanding captain/guide is world-wide. Personable, fluently bilingual, at home in both English and Spanish, Bobby will make your trip a pleasure. Bobby AKA “The Fish Magnet”. Called the ‘fish magnet’ because he seems to attract fish on every charter, Captain Bobby McGuinness (left) captains the Cazador, a superbly fitted 37-foot Merritt customized for fishing in Costa Rica. 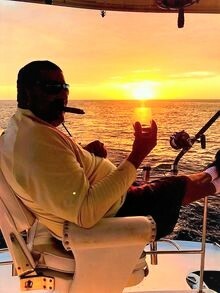 He fishes permanently out of Golfito, where he has consolidated his reputation as one of Costa Rica’s — and the world’s — top captains. For overnighters, and even for some full-day charters, he can offer the 54ft Iron II, a comfortable Riviera Yacht. Bobby McGuinness is the latest in a long line of world-class captains who have helped put Costa Rica fishing in a prominent position on the world-wide fishing map. When you fish with the IGFA world’s top captain of 2006 and 2010, it’s a sure bet you are going to catch fish. BOBBY McGUINNESS GUARANTEES YOU A MARLIN! Fish a two- or three-day overnighter or two or three extended full-day charters with Captain Bobby McGuinness between July 1 and November 15 – if your group does not get a solid Marlin hook-up, Bobby will give you free days the following summer! Call 1-800-407-9438 or e-mail us now for more information. Sport Fish with one of the world’s best captains: Captain Bobby McGuinness, IGFA award winner, who fishes out of Costa Rica’s South Pacific port of Golfito on the 37-foot Cazador.